the sage in this is not deluded. 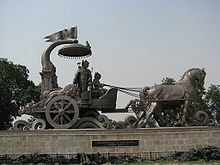 The Bhagavad Gita (Sanskrit in Devanagari script: भगवद्गीता, in transliteration: Bhagavad Gītā) is a 700-verse, 18-chapter religious text within the Mahabharata, located in the Bhisma Parva chapters 25–42. A core text of Hinduism and Indian philosophy, often referred to simply as "the Gita", it is a summation of many aspects of the Vedic, Yogic, Vedantic and Tantric philosophies. The Bhagavad Gita, meaning "Song of the Lord", refers to itself as an 'Upanishad' and is sometimes called Gītopanişad. During the message of the Gita, Krishna proclaims that he is an Avatar, or a Bhagavat, an appearance of the all-embracing God. To help Arjuna believe this, he reveals to him his divine form which is described as timeless and leaves Arjuna shaking with awe and fear. On the field of justice, the Kuru-field, my men and the sons of Pāndu too [stand] massed together ready for the fight. What, Sanjaya, did they do? How can we be so ignorant as not to recoil from this wrong? The evil incurred by destroying one's own family is plain to see, Janardana. I am planning, O Krishna? That would be a safer course for me. His heart smitten with grief. When your intellect transcends the mire of delusion, then you will attain to disgust of what has been heard and what is yet to be heard. When, perplexed by what you have heard, you stand immovable in samadhi, with steady intellect, then you will attain yoga. My dear Arjuna, how have these impurities come upon you? They are not at all befitting a man who knows the progressive values of life. They do not lead to higher planets, but to infamy. O son of Prtha, do not yield to this degrading impotence. It does not become you. Give up such petty weakness of heart and arise, O chastiser of the enemy. My Lord! How can I, when the battle rages, send an arrow through Bheeshma and Drona, who should receive my reverence? Neither for the dead nor those not dead do the wise grieve. nor you nor these lords of men. You'll replace your body with a fresh one, newly born. Swords cut him not, nor may fire burn him, O son of Bharata, waters wet him not, nor dry winds parch. He may not be cut nor burned nor wet nor withered; he is eternal, all-present, firm, unshaken, everlasting. He is called unmanifest, unimaginable, unchanging; therefore, knowing him thus, deign not to grieve! Either slain thou shalt go to heaven; or victorious thou shalt enjoy the earth. Therefore arise, O Son of Kuntī (Arjuna), resolved on battle. You are only entitled to the action, never to its fruits. Do not let the fruits of action be your motive, but do not attach yourself to nonaction. When one's mind dwells on the objects of Senses, fondness for them grows on him, from fondness comes desire, from desire anger. To him [the Sage], what seemeth the bright things of day to the mass, are known to be the things of darkness and ignorance—and what seemeth dark as night to the many, he seeth suffused with the light of noonday. From food come forth beings; from rain food is produced; from sacrifice arises rain, and sacrifice is born of action. Know you that action comes from BRAHMAJI (the Creator) and BRAHMAJI come from the Imperishable. Therefore, the all-pervading BRAHMAN (God-principle) ever rests in sacrifice. All actions are performed by the gunas of prakriti. thinks, "I am the doer." I explained this eternal science of yoga to Vivasvān. 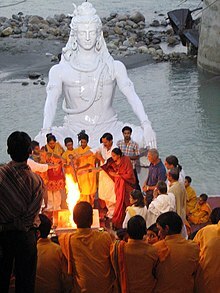 Vivasvān shared it with Manu, then Manu imparted it to Ikṣvāku. This science was taught and handed down in succession, but in time it was broken and the science of yoga seems to be lost. Whensoever there is the fading of the Dharma and the uprising of unrighteousness, then I loose myself forth into birth. For the deliverance of the good, for the destruction of the evil-doers, for the enthroning of the Right, I am born from age to age. Depending upon the distribution of the three attributes or guṇas and actions, I have created the four castes. Yet, I am to be known as the non-doer, the unchangeable. For verily (the true nature) of 'right action' should be known; also (that) of 'forbidden (or unlawful) action' and of 'inaction'; imponderable is the nature (path) of action. He who recognises inaction in action and action in inaction is wise among men; he is a YOGI and a true performer of all actions. Kill therefore with the sword of wisdom the doubt born of ignorance that lies in thy heart. Be one in self-harmony, in Yoga, and arise, great warrior, arise. He is unaffected by Karma, although engaged in action, who has yoked himself to the way of Yoga, whose mind is purified, whose self has triumphed and whose senses have been subdued, and whose self has, indeed, become the self of all beings. Although acting he remains unaffected by Karma. As enjoyments, born of contacts (with external objects), have a beginning and an end, they become the cause of unhappiness. The wise man, O Kaunteya! does not find happiness in them. Use the atman to raise the atman. Do not lower the atman. The atman is the atman’s friend and the atman is the atman’s enemy. The atman, which has been used to conquer the atman, is the atman’s friend. For someone who has failed to control the atman, the atman harms like an enemy. Who sees Me everywhere, and sees all in Me, him I lose not, nor will he lose Me. O Madhusūdana, the mind is an unsteady thing. Hence it is unrealistic to expect evenness out of it as your system of yoga demands. O, Keśava, it is easier to control the wind than to try and control the fickle, unsettling, dominant, and stubborn mind. The yogin is greater than the ascetic; he is considered to be greater than the man of knowledge, greater than the man of ritual works, therefore do thou become a yogin, O Arjuna. Men without wisdom consider Me, the Unmanifest, as assuming embodiment (like a mortal being taking a form)—not understanding My unsurpassable state, My unchangeable unutterable nature. this foolish world does not know me: un-born, immortal. I know all past and all present and future existences, O Arjuna, but Me none yet knows. helpless in the force of my nature. Fools scorn me when I dwell in human form: my higher being they know not as Great Lord of beings. For even if the greatest sinner worships me with all his soul, he must be considered righteous, because of his righteous will. And he shall soon become pure and reach everlasting peace. For this is my word of promise, that he who loves me shall not perish. Worlds of flesh and spirit both originate with Me. Sages understand this well and serve me earnestly. My devotees think of Me and serve Me all the time. Speaking of Me makes their lives delightful and sublime. There shines not one shall leave alive the battlefield! The Lord said: I am Time, the mighty force which destroys everything, fully Manifesting Myself, I am here engaged in destroying the worlds. Even without you, none of the warriors arrayed in the enemy ranks shall survive. This My form, which you have seen, is very difficult to see. Even the gods always desire to see this form. It is not possible for any one to see Me, as you have seen Me, whether by Vedas, or by austerity, or by charity, or by Yajnās. O Arjuna! only by exclusive devotion, is it possible to thus acquire knowledge of Me, and O Parantapa! to enter Me essentially. The Blessed Lord said: Those who, fixing their minds on Me, adore Me, ever united to Me with supreme devotion, are in My eyes the perfect knowers of yoga. But those who seek after the indefinable unmanifested, Immutable, omnipresent, unthinkable, self-poised, immobile, constant, having subdued all their senses, unprejudiced, intent on the welfare of all beings - they too come to Me alone. The difficulty of those who devote themselves to the search of the unmanifested Brahman is greater; it is a think to which embodied souls can only arrive by a constant mortification, a suffering of all the repressed members, a stern difficulty and anguish of the nature. But those who giving up all their actions to Me, and wholly devoted to Me, worship meditating on me with an unswerving Yoga, those who fix on Me all their consciousness, O Paartha, speedily I deliver them out of the sea of death-bound existence. On Me repose all your mind and lodge all thy understanding in Me; doubt not that you shall dwell in Me above this mortal existence. And if you are not able to consciousness fixed steadily in Me, then by the Yoga of practice seek after Me, O Arjuna. If you are unable even to seek by practice, then be it your supreme aim to do My work; doing all actions for My sake, you shall attain perfection. But if even this constant remembering of Me and lifting up of your works to Me is felt beyond your power, then renounce all fruit of action with the self-controlled. Verily, wisdom (born from yoga practice) is superior to (mechanical) yoga practice; meditation is more desirable than the possession of (theoretical) wisdom; the relinquishment of the fruits of action is better than (the initial states of) meditation. Renunciation of the fruits of actions is followed immediately by peace. 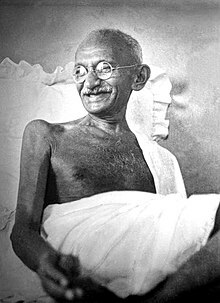 He who is free from hatred toward all creatures, is friendly and kind to all, is devoid of the consciousness of "I-ness" and possessiveness; is evenminded in suffering and joy, forgiving, ever contented; a regular yoga practitioner, constantly trying by yoga to know the Self and to unite with Spirit, possessed of firm determination, with mind and discrimination surrendered to Me - he is My devotee, dear to Me. A person who does not disturb the world and who cannot be disturbed by the world, who is free from exultation, jealousy, apprehension, and worry - he too is dear to Me. He who is free from worldly expectations, who is pure in body and mind, who is ever ready to work, who remains unconcerned with and unafflicted by circumstances, who has forsaken all ego initiated desireful undertakings - he is My devotee, dear to Me. He who feels neither rejoicing not loathing toward the glad nor the sad (aspects of phenomenal life), who is free from grief and cravings, who has banished the relative consciousness of good and evil, and who is intently devout - he is dear to Me. He who is tranquil before friend and foe alike, and in encountering adoration and insult, and during the experiences of warmth and chill and of pleasure and suffering; who has relinquished attachment, regarding blame and praise in the same light; who is quiet and easily contented, not attached to domesticity, and of calm disposition and devotional - that person is dear to Me. But those who adoringly pursue this undying religion (dharma) as heretofore declared, saturated with devotion, supremely engrossed in Me - such devotees are extremely dear to Me. is called knower of the Field by those who know. knower of the Field, I hold, is true knowledge. O Arjuna! The Supreme Self, having no beginning, (no ending,) and no attributes, even though it dwells in a body (as a realized master), neither acts nor is touched by any action. immersed in tamas sink downwards. the gunas, they enter into union with me. It is I who remain seated in the heart of all creatures as the inner controller of all; and it is I who am the source of memory, knowledge and the ratiocinative faculty. Again, I am the only object worth knowing through the Vedas; I alone am the origin of Vedānta and the knower of the Vedas too. There are two Beings (Purushas) in the cosmos, the destructible and the indestructible. The creatures are the destructible, the Kutastha is the indestructible. But there exists Another, the Highest Being, designated the "Supreme Spirit"—the Eternal Lord who, permeating the three worlds, upholds them. These cruel and wretched haters, the vilest of men, I continually cast into demoniac wombs in mortal worlds. Fallen into demoniac wombs, deluded birth after birth, O son of Kunti, they, instead of attaining to Me, tread the lowest path. Krishna; Chapter 16, verses 19–20; Jogindranath Mukharji translation, first published in 1900 under the title Young Men's Gita. for your own sake, Arjuna, give up these three. Acts of sacrifice, charity and austerity should not be abandoned, but should be performed; worship, charity, and also austerity, are the purifiers of even the 'wise'. But even these actions should be performed leaving aside attachment and the fruits, O Partha; this is my certain and best belief. O Arjuna, God resides in the hearts of all beings, directing their wanderings by the magical power of Māyā, on which they are seated as if it were a machine. i will liberate you from every sin, do not grieve. ready to act on your words. In the Bhagavad Gita we have faith, a faith based on spiritual vision. In this vision we have Light. Shall we see? This Song calls us to Love and Life. Shall we hear? The message of the Gita is the message of courage, heroism and atmashakti. The Gita teaches us that weakness is a sin, while shakti is a spiritual virtue. Sri Aurobindo, "Sacred Jewels of Yoga: Wisdom from India's Beloved Scriptures, Teachers, Masters, and Monk"
The thought of the Gita is not pure Monism although it sees in one unchanging, pure, eternal Self the foundation of all cosmic existence, nor Mayavada although it speaks of the Maya of the three modes of Prakriti omnipresent in the created world; nor is it qualified Monism although it places in the One his eternal supreme Prakriti manifested in the form of the Jiva and lays most stress on dwelling in God rather than dissolution as the supreme state of spiritual consciousness; nor is it Sankhya although it explains the created world by the double principle of Purusha and Prakriti; nor is it Vaishnava Theism although it presents to us Krishna, who is the Avatara of Vishnu according to the Puranas, as the supreme Deity and allows no essential difference nor any actual superiority of the status of the indefinable relationless Brahman over that of this Lord of beings who is the Master of the universe and the Friend of all creatures. Like the earlier spiritual synthesis of the Upanishads this later synthesis at once spiritual and intellectual avoids naturally every such rigid determination as would injure its universal comprehensiveness. Its aim is precisely the opposite to that of the polemist commentators who found this Scripture established as one of the three highest Vedantic authorities and attempted to turn it into a weapon of offence and defence against other schools and systems. The Gita is not a weapon for dialectical warfare; it is a gate opening on the whole world of spiritual truth and experience and the view it gives us embraces all the provinces of that supreme region. It maps out, but it does not cut up or build walls or hedges to confine our vision. That the spiritual man need not be a recluse, that union with the divine Life may be achieved and maintained in the midst of worldly affairs, that the obstacles to that union lie not outside us but within us—such is the central lesson of the Bhagavad-Gītā. Among the priceless teachings that may be found in the great Indian epic Mahabharata, there is none so rare and priceless as the Gita... This is the India of which I speak–the India which, as I said, is to me the Holy Land. For those who, though born for this life in a Western land, and clad in a Western body, can yet look back to earlier incarnations in which they drank the milk of spiritual wisdom from the breast of their true mother–they must feel ever the magic of her immemorial past; must dwell ever under the spell of her deathless fascination; for they are bound to India by all the sacred memories of their past and with her, too, are bound up all the radiant hopes of their future, a future which they know they will share with her who is their true mother in the soul-life. The subject matter of the Gita ranges from vast universal cosmology to our innermost life. We learn to see the world around us from the perspective of sages who saw the beauty of God reflected in every aspect of nature – the rivers, the mountains, the sky, the ocean, the plants, the animals. And we then learn how to move from appreciation of the reflected beauty of God to contemplation of the original beauty of God Himself. We learn that the journey of life did not begin with birth and will not end with the death of the body—for the soul there is neither birth nor death. We learn how we can become modern yogis, satisfied with the pleasure that comes from within, undisturbed by the turbulence of life in even the fastest lanes of third millenium society. For, as we have now abundantly seen, the Gītā makes no attempt to be logical or systematic in its philosophy. It is frankly mystical and emotional. What we may, if we like, call its inconsistencies are not due to slovenliness in reasoning; nor do they express a balanced reserve of judgment. This is sufficiently proved in several cases by the fact that the Gītā deliberately brackets two opposing views and asserts the validity of both. It is only in the realm of logic that we must choose between yes and no, or else confess ignorance. The Gītā finds no difficulty in saying both yes and no, at the same time. For its point of view is simply unrelated to logic. Even what it calls "knowledge" is really intuitional perception; it is not, and is not intended to be, based on rational analysis. And, as we have seen, "knowledge" is not the Gītā’s favorite "way of salvation." To the Gītā, as to the Christian mystics, reason is an uncertain and flickering light. The truly "wise" man should abandon it wholly and follow the "kindly Light," the lux benigna, of God’s grace. Today my position is that though I admire much in Christianity, I am unable to identify myself with orthodox Christianity. I must tell you in all humility that Hinduism as I know it, entirely satisfies my. soul, fills my whole being and I find a solace in the Bhagavad Gita and Upanishads that I miss even in the Sermon on the Mount. Not that I do not prize the ideal presented therein, not that some of the precious teachings in the Sermon on the Mount have not left a deep impression upon me, but I must confess to you that when doubts haunt me, when disappointments stare me in the face, and when I see not one ray of light on the horizon I turn to the Bhagavad Gita, and find a verse to comfort me; and I immediately begin to smile in the midst of overwhelming sorrow. My life has been full of external tragedies and if they have not left any visible and indelible effect on me, I owe it to the teaching of the Bhagavad Gita. As a scripture, the Gītā embodies the supreme spiritual mystery and secret. It contains the essence of all the four Vedas. Its style is so simple and elegant that after a little study a man can easily follow the structure of its words; but the thought behind those words, is so deep and abstruse that even a lifelong constant study does not show one the end of it. Everyday the book exhibits a new facet to thought; hence the Gītā remains eternally new. Gita Press, "Śrīmad Bhagavadgītā", code 1658, Glory of the Gītā. Aldous Huxley, "Sacred Jewels of Yoga: Wisdom from India's Beloved Scriptures, Teachers, Masters, and Monk"
The Bhagwat Gita Is the most revered religious book in Hinduism. It is a acceptable to people of many different religious denominations. It has been translated into many different languages. It is considered to be a book not only of religion but also of ethics, espousing eternal moral values. … According to Ambedkar, the Bhagwat Gita is neither a book of religion nor a treatise on philosophy. What the Bhagwat Gita does is to defend certain dogmas of religion on philosophic grounds. It is a philosophic defence of the counter-revolution. 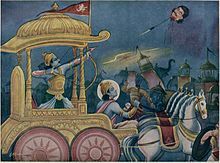 In a very clear and wonderful way, under the guise of physical warfare, the Gita describes the duel that perpetually goes on in the hearts of each one of us; a fight of dharma, justice, against adharma, evil, injustice. 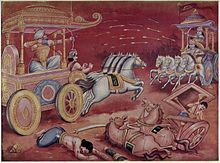 The battle takes place not only on the fields of Kurukshetra but also on the elusive dharmakshetra 'field of dharma', a spiritual field within each of us where all moral struggles are waged. I believe that in all the living languages of the world, there is no book so full of true knowledge, and yet so handy as the Bhagawad Geeta..... It brings to men the highest knowledge, the purest love and the most luminous action. It teaches self-control, the threefold austerity, non-violence, truth, compassion, obedience to the call of duty for the sake of duty and putting up a fight against unrighteousness (Adharma)... To my knowledge, there is no book in the whole range of the world's literature so high above all as the Bhagawad Geeta which is treasure-house of Dharma not only for Hindus but for all mankind. Madan Mohan Malaviya, as quoted in "The Holy Geeta", Commentary by Swami Chinmayananda, Central Chinmaya Mission Trust, 1996, The Geeta as others see it. I believe that the Bhagavad Gita contains the voice of God and that it speaks to each of us, to every mind and heart—individually. This intimate communion transcends the merely intellectual: sarvaśah, in every way. Ramesh Menon, "Srimad Bhagavad Gita: A Modern Translation", Rupa Publications India Pvt. Ltd, 2007, Introduction. Robert Oppenheimer, "Sacred Jewels of Yoga: Wisdom from India's Beloved Scriptures, Teachers, Masters, and Monks"
Through the centuries, the Gita has remained a relevant text, inspiring militant revolutionaries, non-violent truth-seekers and renouncers of the world. It has enlightened German philosophers such as Schopenhauer and Heidegger; it has inspired Victorian poets such as Sir Edwin Arnold; and it has grounded post-Independence philosophers such as Sarvapelli Radhakrishnan. 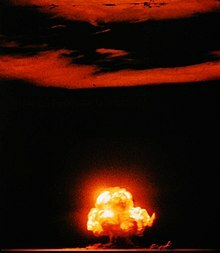 It has become a literary 'site' which decision-makers turn to to understand their dilemmas, whether they be Indian women and men leading Gandhi's satyagraha, twenty-first-century South Asian-American officers deciding to go to war in the Gulf, or London housewives with their children deciding how to organize their day. Laurie L. Patton, "The Bhagavad Gita"], Penguin Classics, 2008, Introduction. The Bhagavadgītā is more a religious classic than a philosophical treatise. It is not an esoteric work designed for and understood by the specially initiated but a popular poem which helps even those 'who wander in the region of the many and variable'. The Bhagavad-Gita professes to give nothing new beyond what has previously been taught by the Upanishads. It contents itself with a synthesis of the older teachings. The Gītā was not preached either as a pastime for persons tired out after living a worldly life in the pursuit of selfish motives nor as a preparatory lesson for living such worldly life; but in order to give philosophical advice as to how one should live his worldly life with an eye to Release (mokṣa) and as to the true duty of human beings in worldly life. It is not a book teaching you how to worship God. Many other texts do the same. It focuses more on the eternal quest to reach Godhead. The Geeta is a bouquet composed of the beautiful flowers of spiritual truths collected from the Upanishads. In summation, the sublime essence of the Bhagavad Gita is that right action, nonattachment to the world and to its sense pleasures, and union with God by the highest yoga of pranayama meditation, learned from an enlightened guru, constitute the royal path to God-attainment. Gita Supersite Multilingual Bhagavadgita with translations, classical and contemporary commentaries and much more.